Kensington's Martha Bar is one of the best bars in the city with a world-class selection of beer, wine and cocktails. They also happen to serve a custom blend of Herman's Coffee which you can order hot, iced or as part of a ridiculously good Negroni. If you're in Rittenhouse, you'll be hard-pressed to find a better outdoor space than Harpers Garden. The recently opened bar on 18th & Market has an exceptional outdoor area where you can order an assortment of wines, cocktails or beers or a glass of a custom cold brew on draft that we make for them. Unfortunately you can't just walk into P'unk Ave and grab a cup of coffee as they have one of the best office coffee programs you'll find. 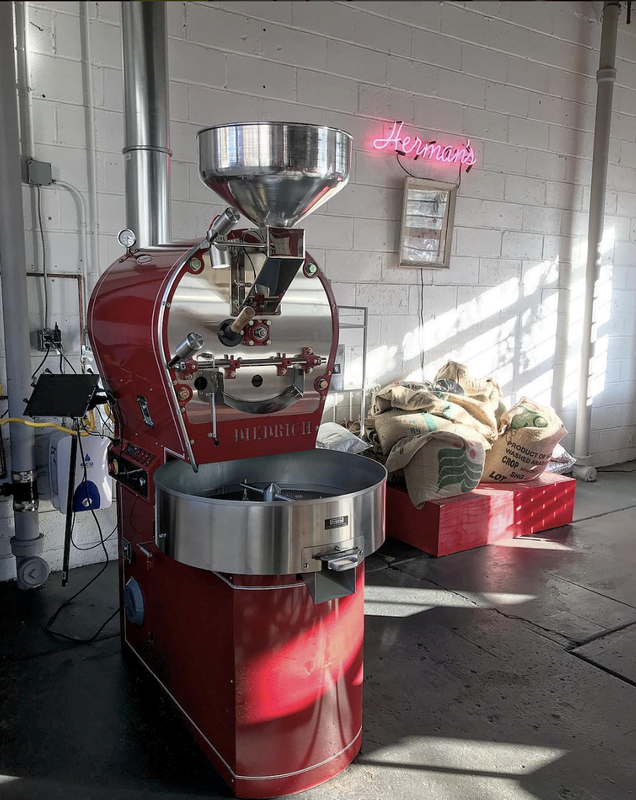 They have various types of brewers on hand, including an authentic Ethiopian Jebena, to brew the different single origin coffees they always stock. They also have a custom blend of coffee they serve as their house blend for the staff and visitors. So if you're ever in search of a new website that comes with some expertly brewed coffee during development meetings, there isn't a better local option than P'unk Ave.
We've been friends with Chaddsford Winery for quite a few years now, so when they said they were looking start tapping kegs of cold brew at their tasting room, we jumped all over the opportunity. We've been wanting to play around with fusing red wine and coffee since we opened and being able to use their wine and barrels is the perfect opportunity to do so. To start, we created a custom blend of coffee for their cold brew that's dedicated to their grandmother. You can find it on draft as a cold brew or as 12oz bags available in their wine store. You may better know them as SOLE Artisan Ales, but they recently changed their name to Separatist Beer Project. They didn't change the quality of the incredible beers they've been putting out though. They'll be open on East Passyunk Ave. soon, but in the meantime you can find our coffee at their taproom in Easton, PA. They carry an assortment of our single origin coffees as well as a custom blend...which you might just find in a beer sometime soon. Love board games? ThirstyDice in Fairmount is a first of it’s kind in Philadelphia. The board game cafe features over 800 different board games and a trained staff to teach you how to play each and every one of them. They also feature a custom blend of coffee from us as part of a full coffee program featuring all sorts of fun espresso drinks. Stop by for a coffee to go or grab a latte while you play a round of Yahtzee. Not looking for coffee, they also have a full bar and a kitchen putting out an assortment of tasty dishes.